EAC: What do you wish you had known about recounts and election contests before you experienced one? Lux: I was fortunate to work in the elections office from 1999 until I was elected to serve as Supervisor of Elections in 2008. My first recount was in our March municipal elections in 2000, followed later that same year by the now-infamous Bush v. Gore recount. It really is 100 percent about reviewing the laws and rules surrounding your recount, having a plan of action for a recount at any jurisdictional level, and having ample personnel and resources to implement that plan. EAC: How did you handle the heightened scrutiny of the media and candidate supporters in the post-election period? What about rumors and false information? Lux: One of the biggest challenges I face in this regard is the desire on election night for a recount to be declared. With the reality of provisional ballots and other things that can alter election night results, candidates and their supporters simply can’t believe that I can’t (or won’t) declare a recount before the work of the canvassing board is done. Addressing rumors and other false information is a matter of being as proactive as possible and keeping the candidates in question, their political parties if applicable, and the media informed. That last part is paramount. Give them the information they need to help you dispel the rumors and put out good information. EAC: What resources were available to you when interpreting relevant laws and regulations on recounts? Lux: I inherited (and maintain) an attorney who is one of the leading experts in election laws here in the state of Florida. I rely on him, the attorney we retain as a state association of election professionals (the Florida State Association of Supervisors of Elections), and guidance from the Division of Elections, as well as the Secretary of State’s office. Any advice is always presented in its entirety to the canvassing board for their final decision. EAC: How did post-election litigation or the threat of litigation affect your work? Lux: As I mentioned earlier: document, document, document! As you work through the procedures and guidance under the laws and rules of your jurisdiction, always ask yourself how you would like to explain your actions to a judge. It will help you focus your actions in a manner that will be as transparent as possible, while providing the security the situation demands. Make sure all seals are signed and placed in the public eye. Make sure logs or records of those seals are verified as you close out your work and read again aloud in public at the start of the next day’s work. As much as your particular situation allows without compromising the security of your equipment and ballots, allow the candidates, their representatives, and the media as close scrutiny as possible. Make both sides of the situation your reliable witnesses to the fact that all procedures were followed and documented accordingly. EAC: What advice would you give your fellow election officials about preparing for recounts and election contests? Lux: Review the laws, rules and procedures thoroughly yourself, with your staff before the election; and with the canvassing board, involved candidates and parties, and volunteers before any actions are taken. Answer any questions and resolve, if possible, any problems before you start the process. Involve your legal teams to help reach agreement on what the law says. EAC: What can election officials do to make sure their provisional and mail balloting processes hold up well under the intense spotlight of a close race and potential recounts or election contests? Lux: I can’t emphasize enough how important chain of custody is – especially with provisional ballots. Make sure you have enough volunteers and use volunteers who already understand and share your concerns with chain of custody issues for the recount itself. I use precinct clerks and other key poll workers for those tasks. They know how to handle ballots and they know how important it is to handle them carefully and correctly. As it relates to absentee ballots, make sure you follow applicable laws about mailing deadlines and receipt deadlines. Make sure things are time-stamped. Make sure work with absentee ballots is documented so that if any question arises about who handled or processed a particular batch that they can be called upon later to answer any questions. Also, as much as the size of your jurisdiction allows, always open, process, and tabulate them in public meetings and in an area where you can be viewed by interested parties. EAC: Is there anything else you’d like to add? Lux: Recounts aren’t anything to be afraid of. Rather, it should be looked at as the opportunity to show to the public that the process is verifiable and that it can be trusted. Preparation is the key, and having procedures based in law that are followed meticulously will keep you out of trouble. Don’t be afraid to ask your legal resources for clarification on topics where you are unsure. Do everything in the public eye to show your transparency and prove the process worthy of their trust. Keep all stakeholders informed and as involved as the law allows. Lastly, take a deep breath and relax when it is over! Kudos to the EAC (particularly author David Kuennen) for launching this series; this really is a fantastic resource for election officials and will be tremendously helpful if and when close elections land on their doorsteps. [I can’t wait to see who they talk to next.] Thanks especially to Paul for being first to share his experience – I have little doubt it will be tremendously valuable to states and localities across the nation. Stay tuned! 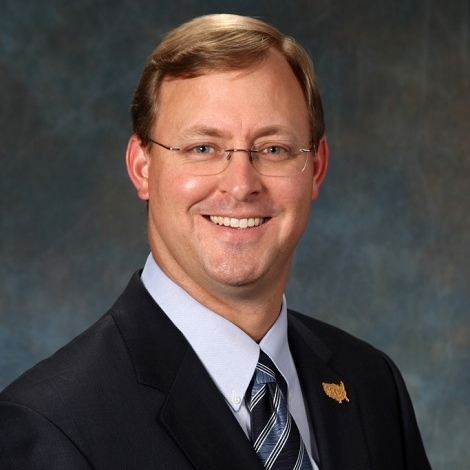 Be the first to comment on "EAC’s “Recount Ready” Launches Featuring Okaloosa, FL’s Paul Lux"